« All hail the HECC’s glorious 5-year college productivity plan! Latest reports are that Mullens is having a hard time finding a replacement. Time for Kilkenny to fire up his jet. Every day they delay costs UO another $10,000 in pay for Halfrich, plus benefits like the DAC and country club memberships. 11/26/2016: Or at least that’s the Thanksgiving weekend rumor from the cousins. The players get nothing of course, this is the NCAA. 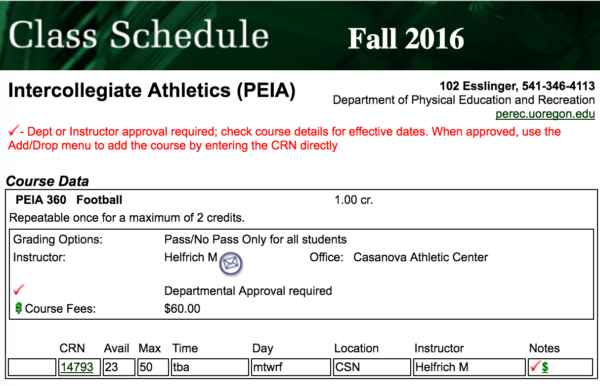 Only 27 takers for his $60 Pass/No Pass course on intercollegiate football? At its Feb 2015 special meeting of the Finance and Audit committee, our Board of Trustees voted to give AD Rob Mullens and Mark Helfrich some fat raises, after the unpaid Marcus Mariota took the Ducks to a second place finish in the football championship series. Well timed. Things have gone downhill ever since. Rob Mullens’ porkalicious deal is here. Tagged athletics subsidy, Dana Altman, Mark Helfrich, Rob Mullens. Bookmark the permalink. Can someone explain why this is even “a thing?” WHy not “art of the computer scientist” Or “art of the law student? What drives this? Maybe the jsma knows what people will come to see? Especially those who don’t usually go to art museums? This has nothing to do with Athletics. The museum does this on their own. You’re just looking for reasons to be angry. Being unreasonable on this blog? Making targets on this blog? Redundant. Rainbows are unicorn farts. I apologize for this post. Duck athletic director Rob Mullens and his coaches are selflessly committed to helping our student-athletes achieve academic excellence, even if that reduces their bowl game bonuses. I deeply regret any contrary misconceptions that this allegedly defamatory post may have created. A couple of people named in the post might be looking for employment soon? The headline should say Mike. Odd that the newspapers reports say that two very large donors (one in particular) will determine the future of the football coach. A lot of power from rich, white guys over a public university. I think Mike is the wrestling coach. Could be wrong though. Keep the football coach. Offer the buyout to the law professor. Let’s compare with a real professors salary? Let’s compare with *any* of the classified staff salaries! Helloooo reality. Okay why doesn’t the senate take this upon itself in a serious way. 1. Add up all the revenue that students generate for the UO including tuition dollars and student tickets for athletic events. 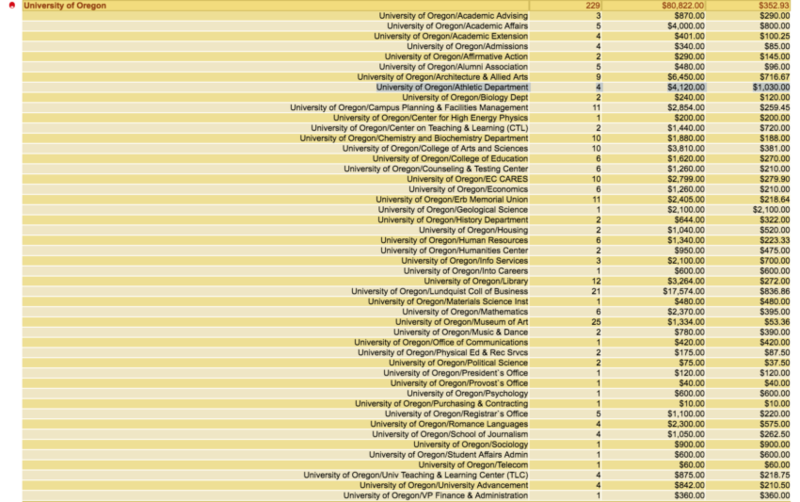 So that’s a number called X.
athletic coaches and staff, zz% for libraries). So the argument was that a winning football team increases applications. What’s happened now with a losing team? Thought I heard applications and average SATs were up. Well, he just got that golden parachute. Really, really pissed off at the waste of $$$$…..
To all the PERS recipients out there — especially the Tier 1 people — who are pissed off about Helfrich’s buyout: Remember, a contract is a contract. 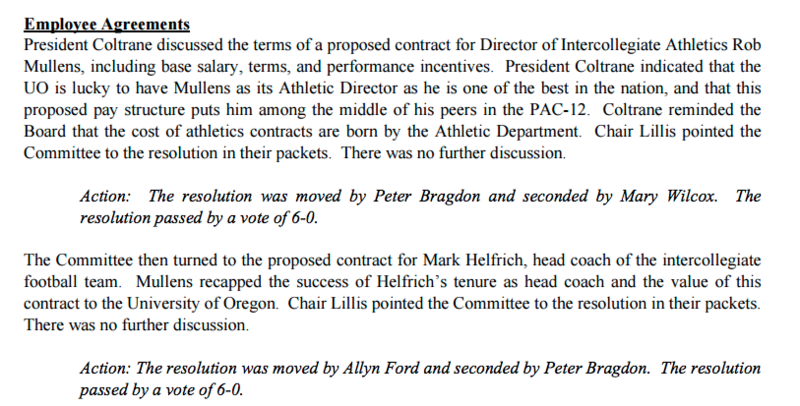 I hope the Athletic Department pays for Helfrich’s buyout. Probably with a check from Uncle Phil. 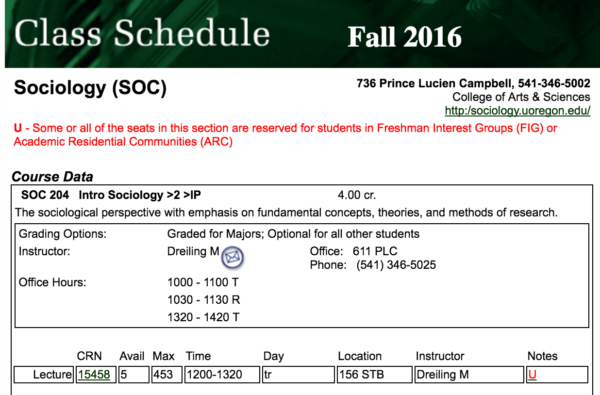 Another thing — there are other matters at UO besides the constant athletics fiascoes, and the Halloween party business, and the new Faculty Lounge. Will UOM get back to talking about budget problems of the colleges — how much is CAS still in deficit? — the impact of the new Knight campus on the existing campus. Grade inflation, unsustainable tuition increases, falling enrollment, possible decline relative to OSU …… ? Please don’t. I need the google ad revenue for my bar bill down at the Faculty Club. Why can’t you make a deal with RG to post an occasional article for free? I realize the importance of a paywall, but the RG is not the WP, NYT, or WSJ. Jeesh. Stop free-riding off the people who subscribe, and pay the RG their money. They earn it.